The Mel Fisher Maritime Heritage Society operates a two thousand square foot conservation laboratory specializing in preserving underwater archaeological artifacts. This means all the artifacts that are either salvaged from our archaeological expeditions or are donated are conserved on premises. 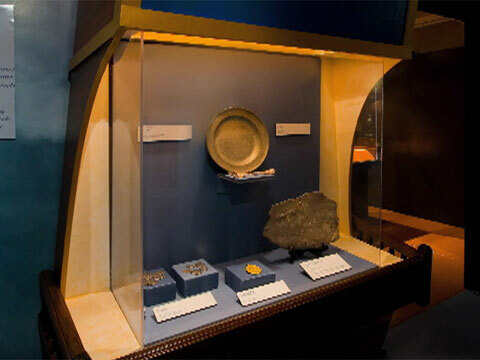 Presently our collection contains about 100,000 artifacts and consists of a variety of inorganic and organic materials such as gold and silver bars and coins; precious jewels; various metals; glassware and ceramics; ivory as well as organic artifacts such as wood, seeds, insect fragments, bones, and leather. The objects range from cannons, cross bows and other weaponry, to tools, ship's rigging, hardware, navigational instruments, personal items, galley utensils, shackles, trade goods and coin chests.